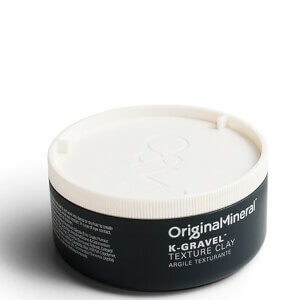 Born in Australia, Original & Mineral began when a passionate hairdresser was close to quitting a profession he loved, due to the harsh chemicals that were used in mainstream hair colouring products. This was caused by the ingredient Ammonia; the agent traditionally formulated to open the hair cuticles that allow colour to penetrate. Whilst working in a London salon, Alan discovered that an alternative ingredient could be used - one that was as effective, yet safer for both the client and stylist. Built on passion, heart and the support of a loyal customer base, Original & Mineral bridges the gap between natural and luxury, with a professional colour, hair and styling line that challenges the artificial norms in the industry. True to their mission of developing a shampoo and conditioner to suit every hair type, the collection features a range of products; with each specifically formulated to help prevent colour fade. For daily care, the Maintain the Mane range is ideal. 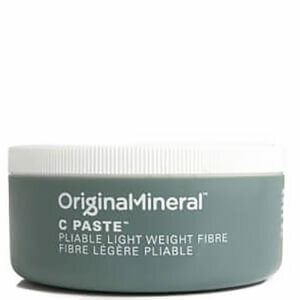 It’s bursting with antioxidants and amino acids that helps nourish and revitalize coloured hair. For dry and damaged that’s in need of the ultimate hydration, the Hydrate and Conquer range is a must. It's rich in Vitamins A, B, C & E and amino acids so you hair is sure to be given the much-needed TLC. Specifically designed for hair that's in serious repair, the Seven Day Miracle Masque is enriched with Macadamia Seed Oil and organic Australian Argan Oil; essential moisturising ingredients for replenishing dry and damaged hair. With a sweet scent of Vanilla Bean, your hair will smell divine too! Restore your mane from within the Power Base treatment. Working as an intense dual action, the treatment has been formulated with Wheat Protein to help reconstruct weakened hair, whilst the Apricot Kernel Oil and Sweet Almond nourishes and moisturises. 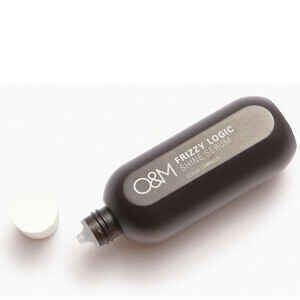 Help combat humidity and fight the frizz with the Frizzy Logic styling product. With a unique blend of Argan Oil and Macadamia Oil, your hair will be left smooth, shiny and free of frizz. Frizzy Logic is a go-to product for helping tame out of control curls, as well as giving your hair lustrous texture. For a little more texture and volume, look no further than the Style Guru Styling Cream. Enriched with native Australian ingredient Banksia Flower, it’s an essential cream for achieving a myriad of looks. So whether you’re wanting a more voluminous blowdry or wanting to achieve a more smooth swept-back do, Style Guru is sure to be your go-to product! Shop the full collection at Beauty Expert – available with free delivery!